Sometimes, it’s nice to take tradition and flip it on its head. The oyster po’ boy sandwich is an old favorite – a seaside comfort food that stirs up memories of overcast Half Moon Bay weather, a cold brew, and a bonfire. There is something clunky and majestic about this treat that calls for it to be eaten from a paper boat plate, away from the rugs and white couches of one’s home. So to make it a home-cook, classic, I needed to repackage the recipe and turn it into a one-bite wonder. I took all of the sandwich’s magical parts, shrunk them down to size, and well, turned them inside out. Thus, the oyster po’ boy pop was born. The most difficult part of this recipe is shucking the oyster. If you are going to do it yourself, you will need three things: a good oyster knife, a rag that you do not mind getting dirty, and a really good “how to” video on YouTube. Once you have the shells pried open, the rest is as easy as heating up a pan of oil. The contents include minced oyster mixed with diced jalapeno, tangerine juice, and horseradish, dipped in a thick coating of cornmeal, and then crisped to perfection – you can’t go wrong with spicy, fried food on a stick. 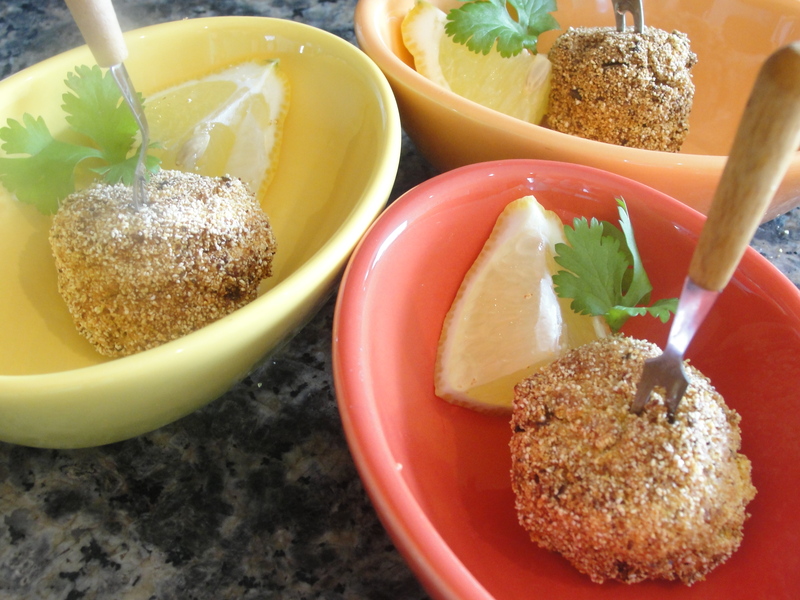 The pops are the perfect size for an appetizer and are a great way to jazz up hand-held snacking at a Super Bowl party. And while you may be thinking, oysters? 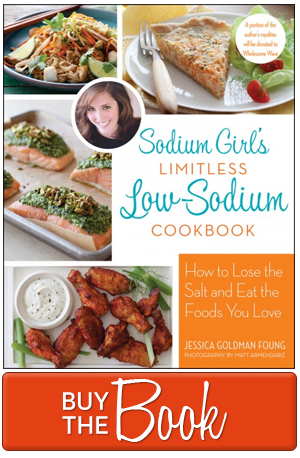 Has Sodium Girl gone loco? The real surprise treat is that these little ocean gems from the Pacific are only 90mg per 3oz. High impact taste and very low sodium. 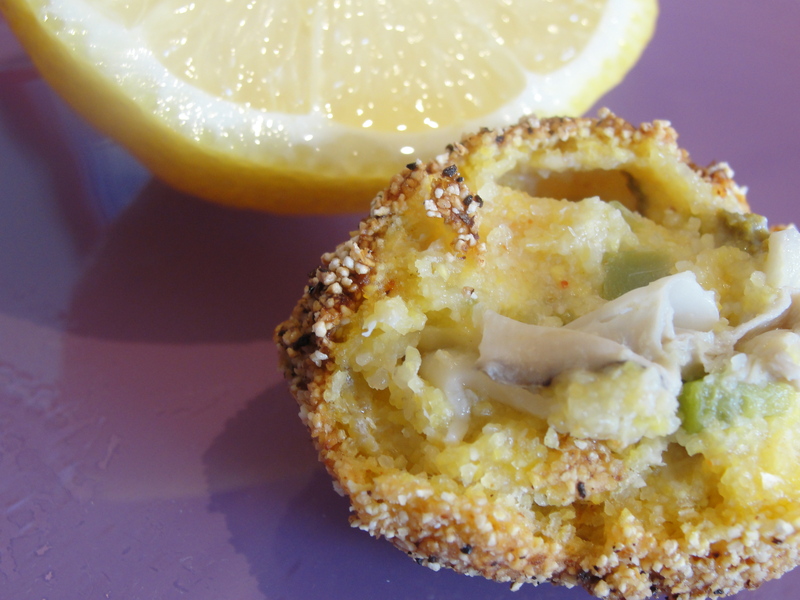 I used Tomales Bay oysters for this recipe but any west coasters will do. So get poppin’ and chow on. 1. Roughly chop the shucked oysters into 1/4 inch chunks. 2. 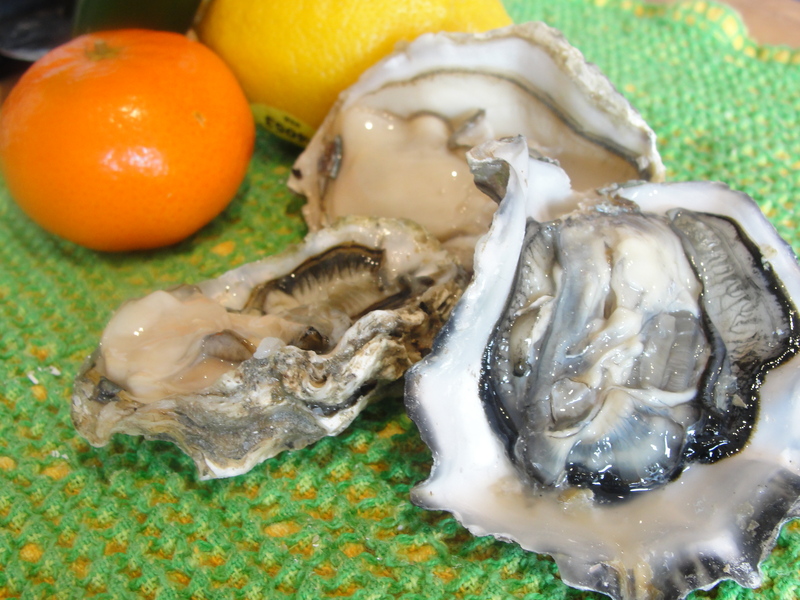 In a small bowl, mix the horseradish, juice from the tangerine, jalapenos, and chopped oysters. Don’t be afraid to get your hands dirty. 3. 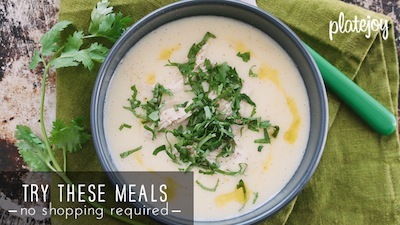 In another bowl, mix the cornmeal, flour, and dried herbs. This is your coating. In a third bowl, prepare the whisked egg. Now you are ready to fry. 4. Heat canola oil in a high-sided pan over high heat. 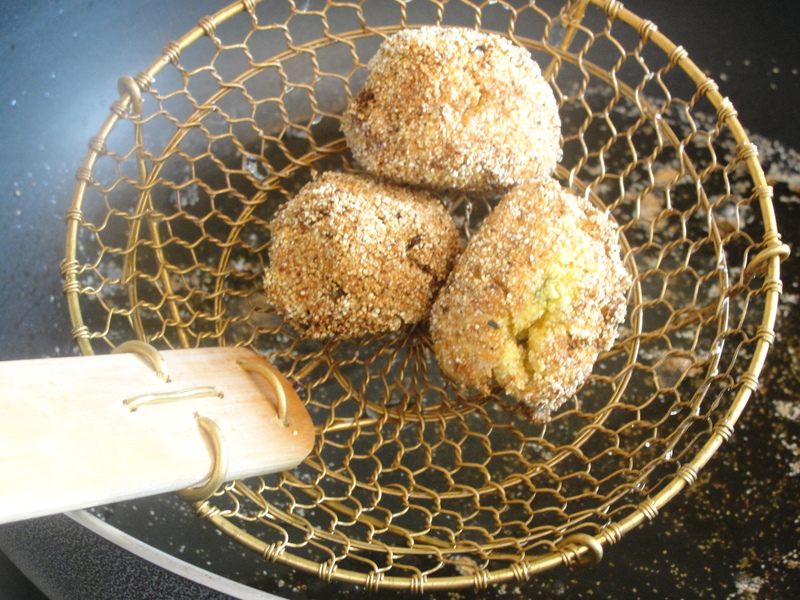 You will want it to reach 360 degrees before dipping in your pops, but if you do not have a thermometer, you can test the heat by throwing in a little of the cornmeal to see if the oil spits and it turns to a nice golden brown. 5. While the oil is heating, begin prepping your oyster pops. 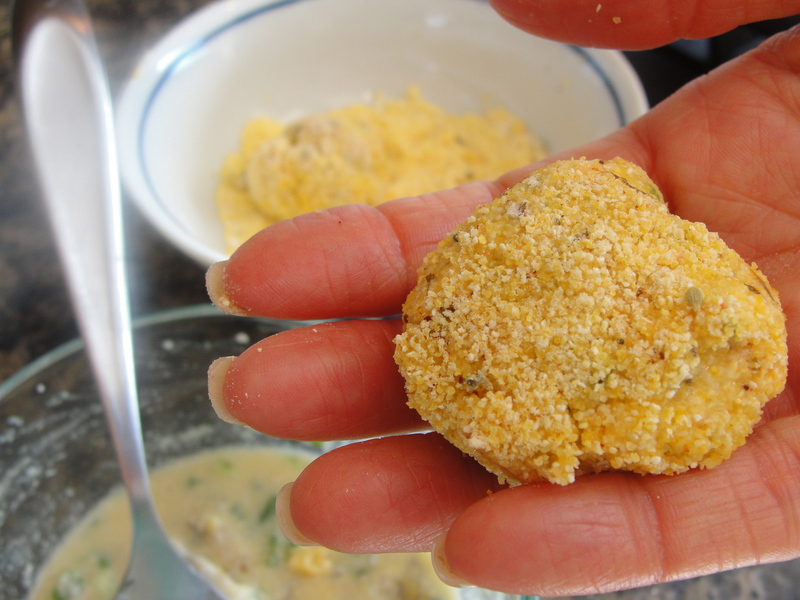 Take a teaspoon size scoop of the oyster/jalapeno/juice/horseradish mixture and plop into the dry ingredients. Squish and mold until you have formed a ball. It should have a thick enough cornmeal/flour coating that it holds together. 6. 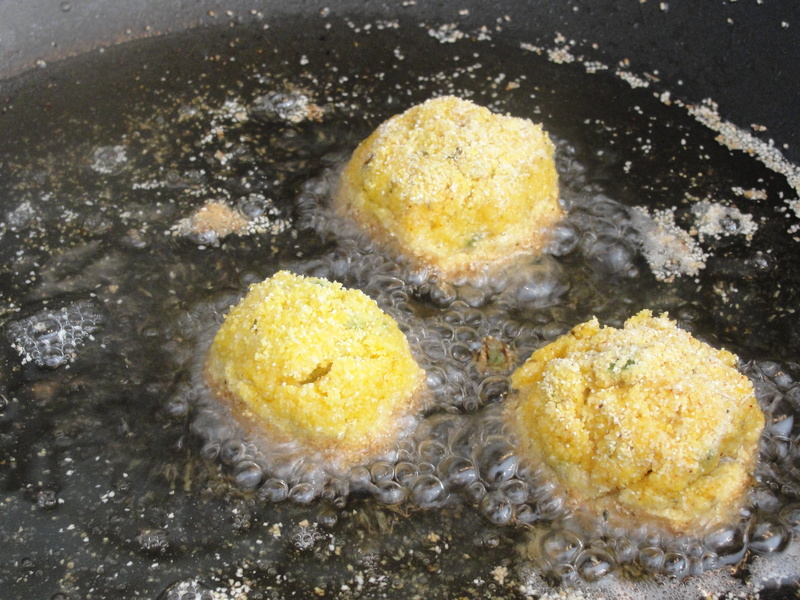 Dip the ball into the egg mixture. 7. Dip back into the cornmeal/flour again for a second coating. Set aside on a plate and repeat until all of the oyster/jalapeno/juice/horseradish mixture has been used. If the cornmeal and flour gets too clumpy, add some more. 8. When oil is ready, carefully lower the pops (2-4 at a time, depending on size of the pan) and let them crisp for 2 minutes on either side. 9. Remove from oil and let dry on a paper towel. 10. Place on a plater with desired accoutrements, serve, and watch them disappear. Beautiful, once again. Sodium Girl outdoes herself!! Get Out! I can’t keep up with all this good stuff! oh wow. watch out ocean, here i come.